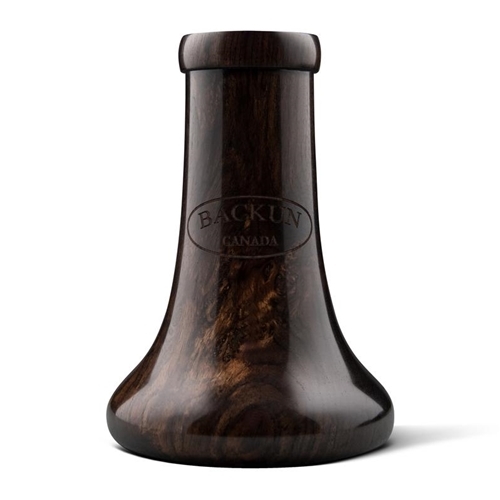 The first after-market clarinet bell by Backun was a revelation to those who played it: simple, refined, completely uninhibited. Developed with a custom wooden tenon ring to increase vibration, the Traditional Bell provides unparalleled response to your instrument. The Backun Voicing Groove improves the clarion register while smoothing the break between registers. Specs: Standard or Selmer Paris fit. Adaptable to Bb and A Clarinets.